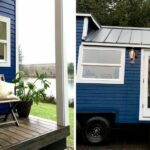 A Seattle, Washington couple hired the Tiny Heirloom team to build a tiny house so they could downsize and travel with their twin toddler boys. 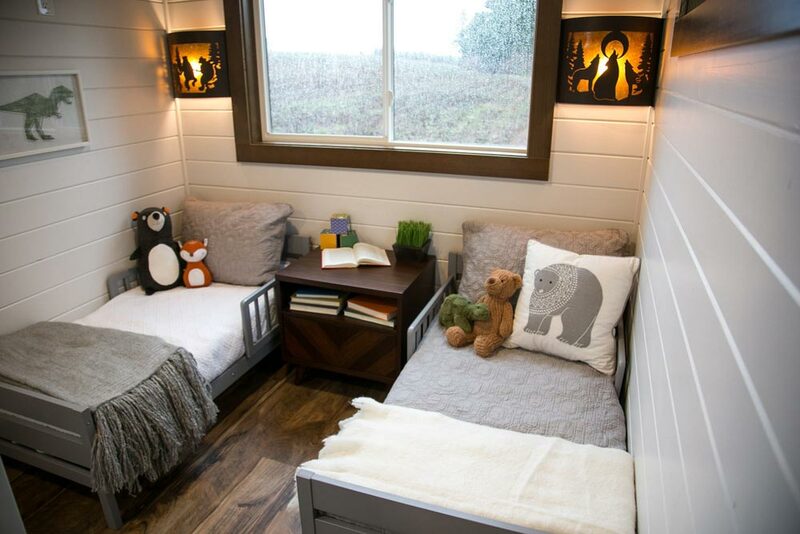 The boys’ room is located over the gooseneck and has room for two beds and 40-cubic-feet of storage. 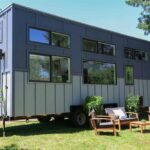 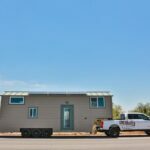 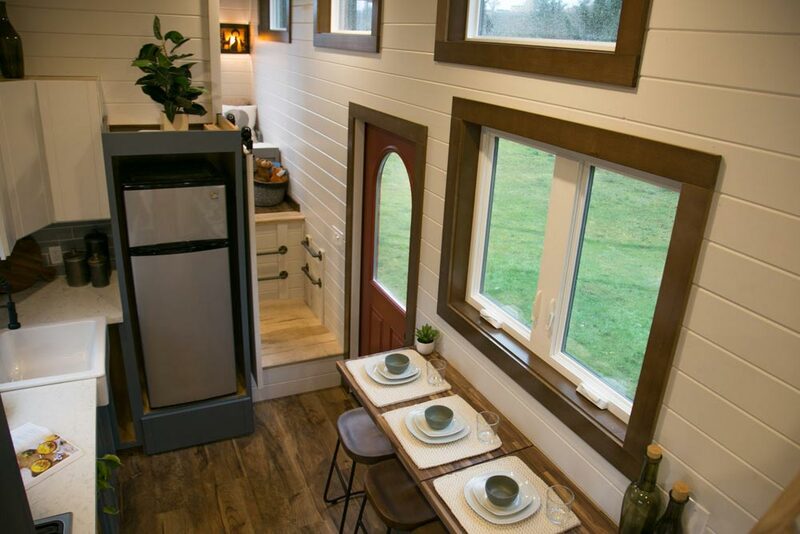 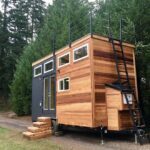 The gooseneck tiny home is 34-feet long and has 270-square-feet of living space. 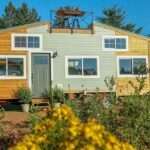 Since the family will be traveling extensively, Tiny Heirloom used steel framing to reduce the overall weight by 30% compared to traditional wood framing. 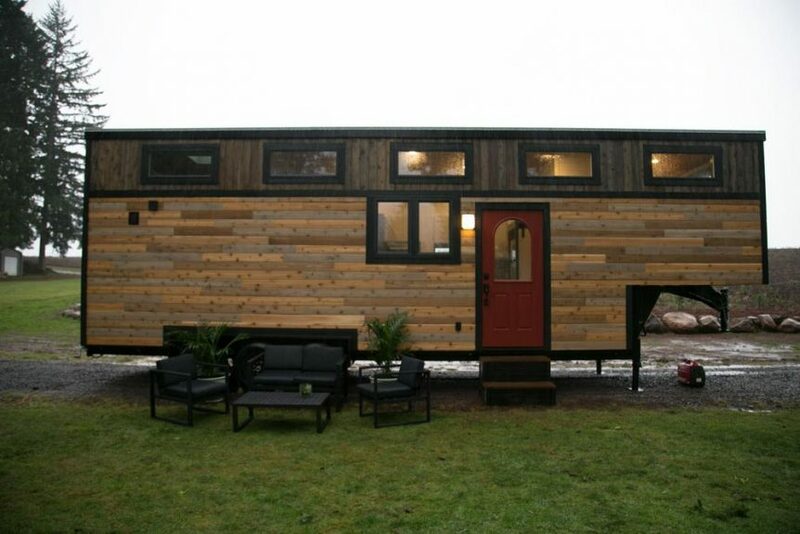 The exterior has three tones of rustic cedar siding, 12 windows with black trim, and a red half-light front door. 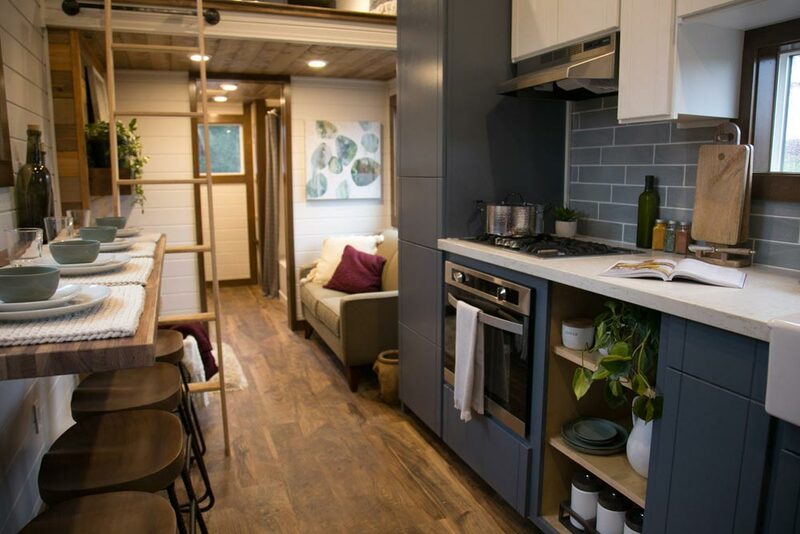 Throughout the interior is tongue-and-groove siding and high quality faux wood flooring that helps reduce weight yet looks like real hardwood. 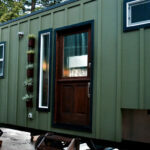 They carried the rustic style of the exterior into the home by using the cedar siding around the fireplace. 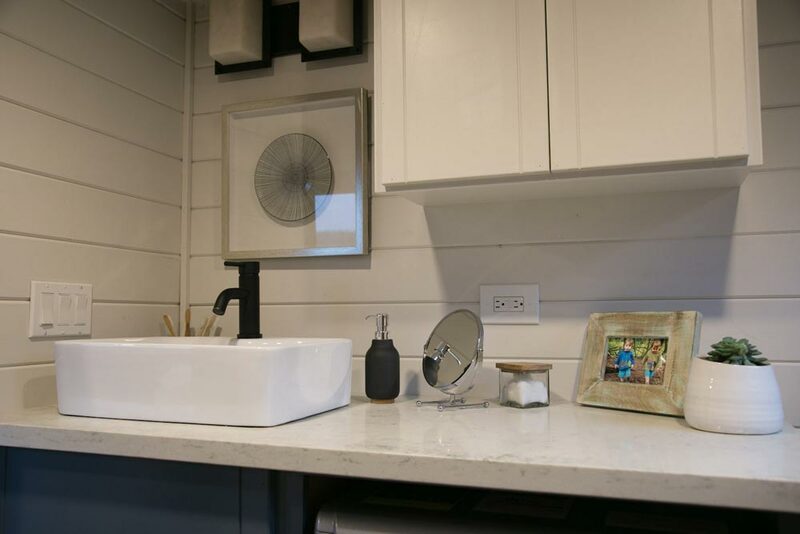 The accent wall also has a distressed solid alder mantel. 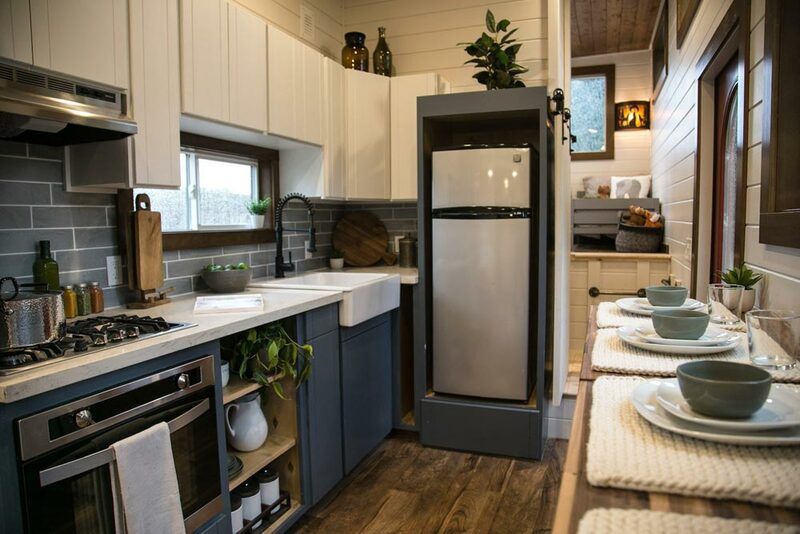 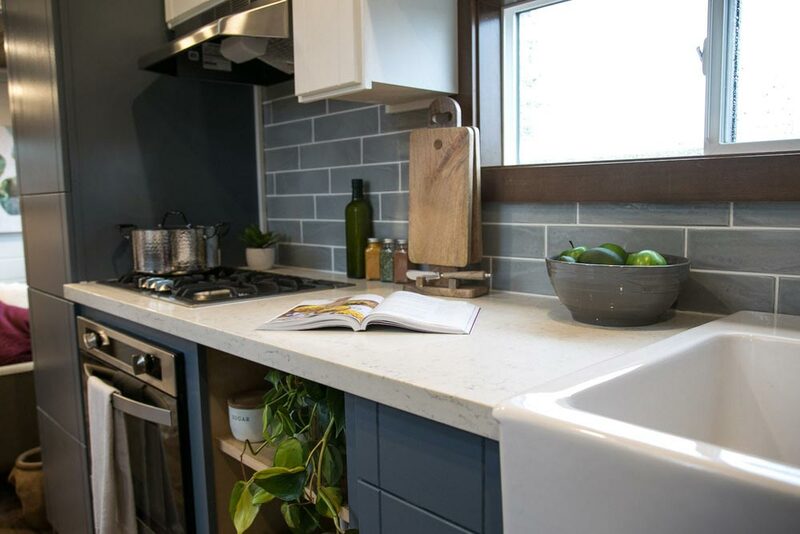 The 75-square-foot kitchen includes full size stainless steel appliances, 22-feet of upper and lower cabinetry, a farmhouse sink, and subway tile backsplash. 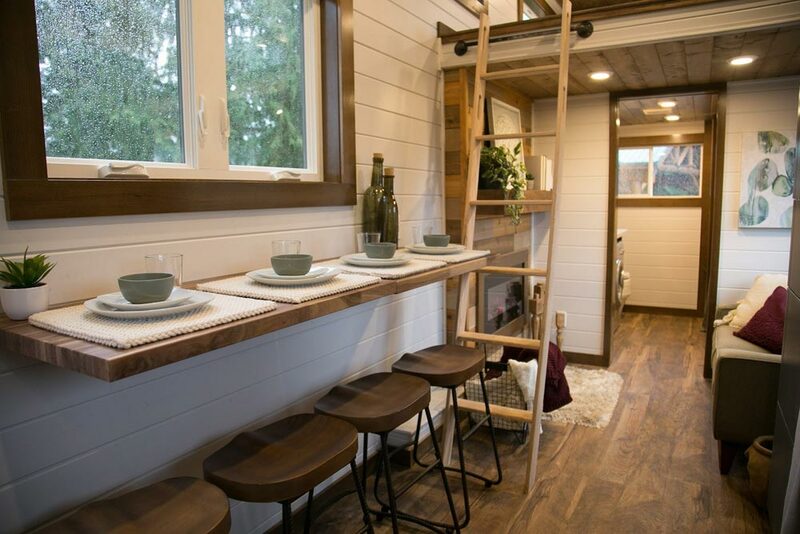 A built-in fold-down table seats the whole family and folds down in two pieces. 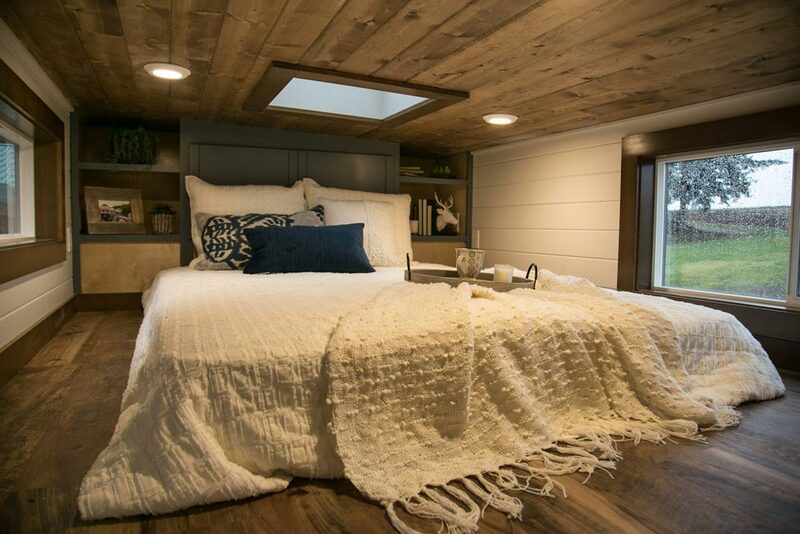 The 75-square-foot master loft features a skylight and built-in storage across the back wall. 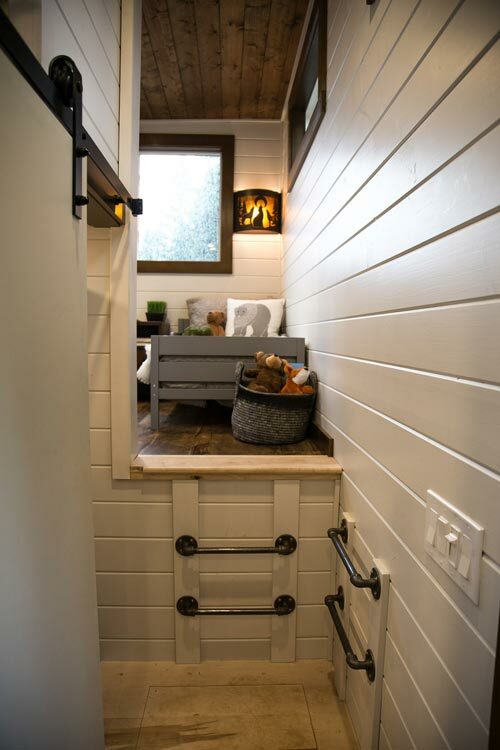 The 35-square-foot bathroom includes a washer/dryer combo, vessel sink, full height storage cubby, and 4-foot bathtub. 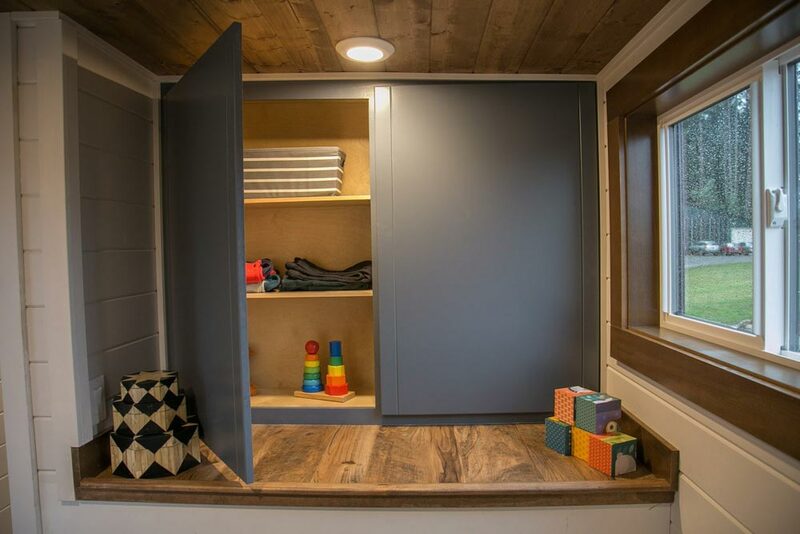 A 2’x4.5′ walk-in closet provides a large space for clothes storage, plus there is shoe storage under the stairs leading up to the kids’ bedroom.